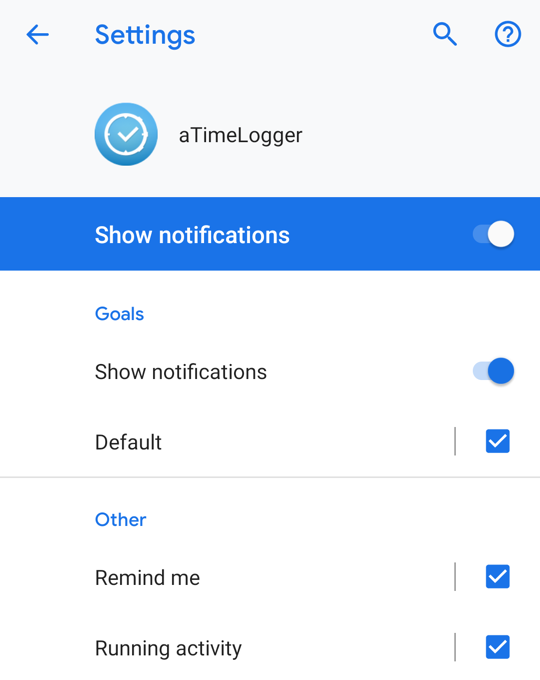 There are 3 notification channels: 1. running activity, 2. remind me and 3. goals. 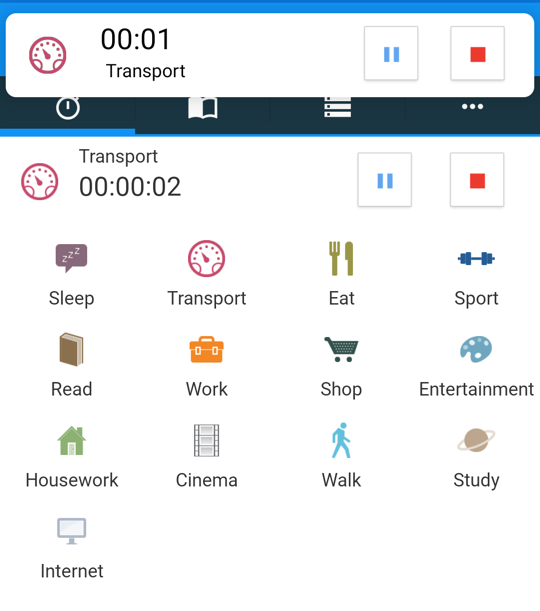 Running activity is a notification with timer that is shown when activities are running. 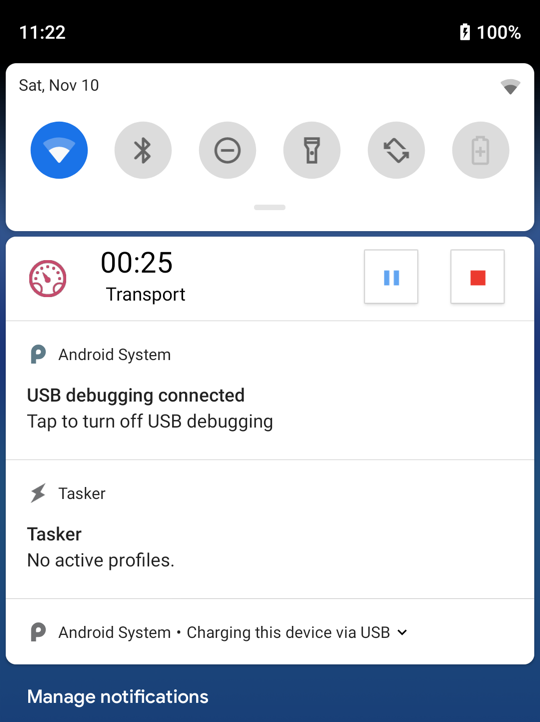 Be careful with notification priority; if you set it to the highest value, then popover will be shown for 3 seconds each time you start the activity. It's self-explanatory. 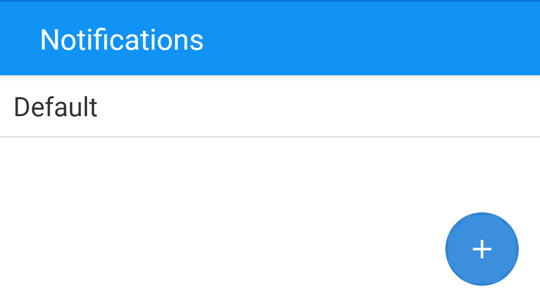 Utilize notification settings for remind functionality. This is the most interesting notification channels. 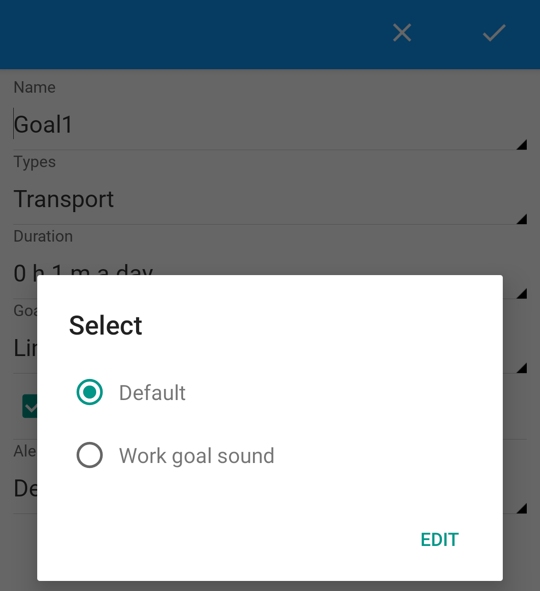 Goal notification is a notification that is shown when a goal is reached. 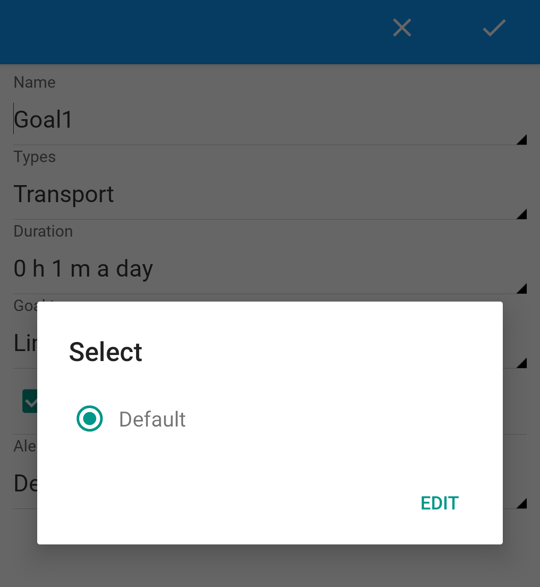 In the screenshot below there is a separate group for goal notifications. 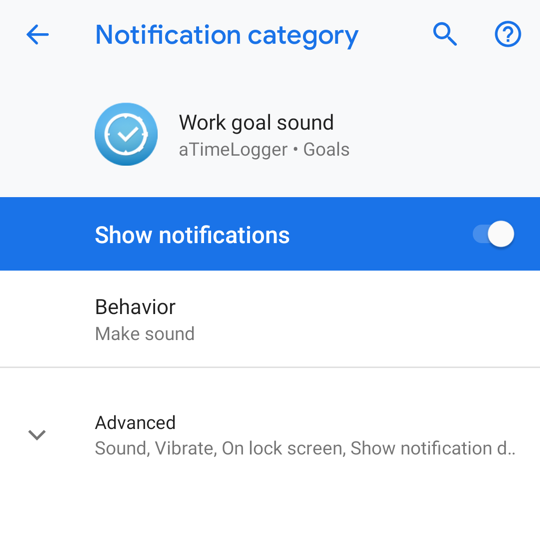 You can create a separate notification for each goal (Note: this is a premium feature). 2. To add a new channel, press on "Edit" and you will see a list of goal notification channels. 4. After the channel setup, go back to the Edit Goal screen and set the channel for goal. If you want to remove channels in the future - navigate to the channels list from "Edit goal" screen, press on channel you want to delete and then press on "Remove" in the popup.